When 33-year-old Prince Harry went to watch the UK vs Denmark match at the Invictus Games in Toronto, he probably didn’t expect to confront a little girl about stealing his popcorn. A 2-year-old toddler named Emily Henson, who was sitting on her mother’s lap sitting next to the Prince, saw an opportunity and decided to steal a few popcorns from his container. Prince Harry, busy in a conversation with a friend, didn’t pay attention to the theft at first but then caught the adorable thief in the act. The short clip shows how sweetly Harry reacted to the scene. 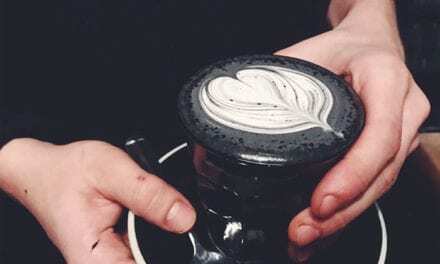 Will This Grey Colored Charcoal Latte Soon Replace Regular Coffee?